Sleep deprivation, no matter how acute has a number of negative effects on the human body and cognitive functioning. Without an adequate supply of sleep the body is continually refused the restorative time period it requires to function normally. In extreme cases of sleep deprivation such as fatal familial insomnia, death has ultimately resulted and even in cases of “traditional” insomnia accidental death is not uncommon. In this article we will discuss both the physiological and psychological effects of sleep deprivation including: memory impairment, headaches, increased risk of illness and hallucinations. Sleep deprivation is a state of being unable to achieve any or any long lasting period of rest through sleeping. There are two categories of sleep deprivation: chronic and acute. Chronic sleep deprivation is a much more serious situation; however, both categories can have fatal consequences. Sleep is a necessary function for the human body, allowing for a period of limited activity in which the body can physically and mentally switch off in order to restore and recover. When the body is denied the ability to restore and recover, many of the rejuvenation processes that take place while asleep are unable to take place resulting in poor health. While the term “sleep deprivation” seems to insinuate an intentional deprivation of sleep, in most cases sleep deprivation is not intentional. While the body needs to restore itself during sleep the need to sleep is controlled by a natural rhythm controlled by the circadian clock. While in human beings the ability to force oneself to be awake is possible, there comes a point where at least short microsleeps cannot be avoided. In the human body the circadian clock keeps track of time and works alongside the neurotransmitter adenosine which plays a considerable role in “sleepiness.” As the day progresses the neurotransmitter adenosine builds up in the body and as they do so the body begins to feel “sleepy.” As adenosine builds up and the circadian clock feels a need for sleep it begins to release melatonin. It is the eventual release of melatonin in combination with a gradual decrease in the body’s core temperature that prompts the body to fall in to a state of sleep. As mentioned above the circadian clock in collaboration with adenosine and the release of melatonin play a large part in the need for sleep. How long someone sleeps is for the most part though controlled by the gene DEC2. This gene can occur normally or with a mutation that results in a lower threshold for the number of optimal hours of sleep needed. Many people find themselves obsessing over how much sleep is the “perfect” amount for optimal functioning; however, this figure varies considerably. In order for a sleep cycle to be considered complete one should not look at the actual stages of sleep, rather, a number of physiological factors within the human body. When the minimum core body temperature is reached and the highest concentration of the hormone melatonin is reached the body is assumed to have achieved the right amount of sleep. These factors vary from person to person and are controlled by various conditions including age, health state and genetics. With all of this said however, a sleep study conducted at the University of California in San Diego seems to indicate that those who sleep between six to seven hours a night are those who live the longest lives. Why Does Sleep Deprivation Occur? There are a number of reasons why sleep deprivation occurs; some of these are caused by external factors and others by internal factors. Some of the causes of insomnia include: increased stress levels, methods of torture, fatal familial insomnia, diet, alcohol or drug abuse, smoking, illness, interruptions in the circadian rhythm, overworking, environmental changes and medication use or abuse. As stress levels increase often the mind is unable to shut down or the body shows increased alertness to stressful stimulants. This can cause increased difficulty in achieving sleep or maintaining a regular sleep pattern. On occasion when prisoners are captured efforts are made to deprive them of sleep in order to break down their mental capabilities. It is believed that depriving an individual of sleep will result in their breaking of confidences in order to obtain much needed rest. Fatal familial insomnia is a condition in which particular proteins within the brain do not allow the brain to shut down so that sleep can occur. There is no cure for this genetically inherited disease (most cases of FFI are inherited although a few cases of spontaneous development have occurred) and generally within 7 to 18 months of its onset the disease has proven to be fatal. The P.I.C. (Prion Information Center) brings us a documentary video on fatal familial insomnia. Originally an ABC production, this documentary shows cases and relatives of victims dealing with the disease. Changes in diet or poor eating habits can contribute to poor sleeping habits or the inability to sleep. Most often over consumption of caffeine is a culprit in this case. Alcohol and drug abuse are often a cause of sleep deprivation, particularly in the case of abuse of “uppers” a class of drug that stimulate the brain and body. These drugs make it difficult to “wind down” and achieve sleep. Nicotine has proven to interrupt normal sleep patterns in addition to reducing the number of hours slept per night. While nicotine consumption can result in poor sleeping habits quitting smoking can cause withdrawal symptoms that also interrupt sleeping habits. Nicotine withdrawal symptoms can be overcome with the help of prescription and non-prescription aids. While most cases of illness may result in sleeping more often than normal, in some cases sleep becomes difficult due to the symptoms of the illness in question such as coughing, aching or increased body temperature. Interruptions in the circadian rhythm are often the result of traveling to different areas of the world or switching between day and night shifts on the job. These interruptions can force the body to go against its natural sleeping instinct and make it increasingly difficult to sleep on schedule. Much like being overstressed being overworked results in an inability to shut down or wind down come bedtime. Environmental changes frequently contribute to sleep deprivation. Whether moving to a new home with different ambient noises or whether staying at a friend’s house who keeps the home considerably warmer than you are used to, these changes affect sleeping patterns. Even when sleep is achieved in these conditions it is rarely uninterrupted. Medications whether they are being used or abused can also contribute to changes in sleeping patterns. One of the leading causes of sleep deprivation results from habitual use of sleeping aide. When individuals who have relied upon sleeping aids for many years eventually stop using them they often find that they are unable to sleep naturally. We have discussed some of the potential reasons for sleep deprivation but how do these things affect the body? What happens when we go without our “normal” period of rest nightly? A number of things can occur. The physiology of the brain’s functioning actually changes as a subject becomes increasingly sleep deprived. Rather than functioning normally functional magnetic resonance imaging has revealed that the brain of sleep deprived individuals shows increased prefrontal cortex activity. This increase in activity in the prefrontal cortex is believed to result from the brain’s need to compensate for poor function in other skills that result from sleep deprivation. Further studies have shown that individuals who have been sleep deprived show significantly less activity in the language processing area of the brain – the temporal lobe. Rather sleep deprived subjects show increased activity in the parietal lobe of the brain which is responsible for memory. This finding is significant in that the memory impairment that accompanies sleep deprivation seems contrary to the fact that the parietal lobe of the brain shows increased activation. Overall, studies that have researched the effect of sleep deprivation on the human brain have found that a lack of adequately restful sleep results in decreased activity and function of the brain. The most significant change in functioning has been noted in the thalamus, the area of the brain responsible for both attention and alertness and in the prefrontal cortex, the area of the brain that also plays a role in attention, alertness and higher order cognitive processes. As functioning in these areas of the brain decreases, the tasks that originate in these areas become less accurate. A 2002 study by the University of California found that non-rapid eye movement sleep or non REM sleep is an important part of the recharging process that takes place because it turns off neurotransmitters. As neurotransmitters are allowed to rest overnight they once again become sensitive enough to function at normal levels. Without an adequate period of resting these neurotransmitters are not given the opportunity to regain sensitivity and as such they cannot regulate emotions or the ability to learn as they are intended to do. Further studies have also found that sleep that occurs out of the REM phase gives the chance for enzymes to repair damage within the brain resulting from free radical activity while awake. This study found that rats that had been deprived the ability to sleep actually showed evidence of brain damage due to the lack of reparation of free radical damage. One of the most significantly noticeable effects of sleep deprivation is the general impairment of ability. Anyone who has experienced someone who is sleep deprived can attest to the gradual loss of general ability that accompanies it. This impairment of ability is the most significant cause of death in acute sleep deprivation most notably when drivers underestimate how tired they are and get behind the wheel. It is estimated that every year some 80,000 drivers fall asleep while behind the wheel of their car. Quite a few studies have researched the effect of drowsiness on driving ability, often comparing sleep deprivation to the impairment that results from being drunk. As the body suffers from sleep deprivation muscles that are used on a consistent basis can begin to suffer from the effects of exhaustion. Cramping, weakness and tremors have all been observed in individuals deprived of adequate sleep. Other noted symptoms of muscular exhaustion that result from overexertion include: muscle tearing and herniation. When sleep deprivation gets taken to extremes individuals often begin to exhibit signs of psychosis. 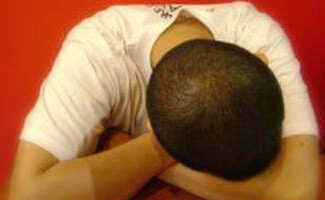 As the brain and body are deprived of restorative sleep sessions exhaustion sets in and a number of things can occur. Hallucination is one of the more commonly noted symptoms of extreme sleep deprivation in addition to paranoia, inappropriate behavioral or emotional responses to stimuli and a distorted perception of events. Individuals with any level of sleep deprivation may also exhibit difficulty in communicating, a lack of desire to utilize fine motor skills and a lack of attention to details. For those who have suffered from a bout of insomnia before the idea of involuntary sleeping may sound appealing; however, this is rarely something that is even recognized. When individuals experience significant sleep deprivation something called “microsleeps” can take place. Microsleeps occur when the brain shuts itself down and an individual falls in to a sleep that lasts from one to thirty seconds. These extremely rapid sleeps are similar to the way a computer may reboot itself after occurring an error; however, the individual experiencing them have no idea that they are happening. Microsleeps are dangerous in that they can occur at any time even when an individual is taking part in an activity such as driving or operating heavy machinery. When thinking of sleep deprivation people rarely connect a lack of sleep with the potential for developing a disease like diabetes; however, a connection between the two has been made. In 2005 a study found that those who experienced fewer hours of sleep were increasingly likely to be associated with diabetes type 2. It is believed that unnatural sleep patterns contribute to an impairment of glucose tolerance which increases obesity and contributes to the likelihood of developing type 2 diabetes. It has long been believed that sleeping allows the body a chance to heal itself as is evident in the study that observed brain damage from free radicals in rats that were sleep deprived. There are contrasting opinions in terms of how sleep deprivation affects healing however. Some believe that there is no significant impairment of the body’s ability to heal resulting from sleep deprivation; however, there are also those who have found that healing appears to be slowed by a lack of sleep. There are currently two significant studies that prove each of these theories and no definitive answer has yet to be ascertained. While a number of negative effects have been noted as a result of sleep deprivation, there are still many people who attempt to break the world record for staying awake. It seems that people believe that staying awake for an extended period of time is something that can be done without too much effort; however, these people are often proven wrong. There are many accounts of extreme sleep deprivation but the longest documented stint without sleep is 11 days. Randy Gardner, a San Diego high school student at the time, endured 11 days without sleeping without the assistance from any type of stimulant or drug to help him stay awake. Prior to this 264 hour stint without sleep the world record for sleep deprivation was held by Tom Rounds of Honolulu who went 260 hours without sleep. Numerous other accounts of extreme sleep deprivation have been noted; however, none have ever been scientifically documented. One of these accounts includes Michael Corke, a Chicago Illinois music teacher who suffered from fatal familial insomnia. The disease began soon after his 40th birthday and he was dead before his 41st birthday having gone without sleep completely for 6 months. Sleep is the natural way for the body to recharge, much like computers that require rebooting once in a while, the human body requires a nightly reboot in order to function normally. While the levels of sleep required may vary from individual to individual there is no doubt that every individual needs sleep and without it the results can be fatal. Whether voluntarily or involuntarily going without sleep many of the important systems within the body begin to suffer and shut down and physical damage can result. It is especially important to note the physically restorative properties of sleep and studies that have been conducted proving the resulting brain damage that occurs in rats after extensive sleep deprivation. The next time you consider skipping a good night’s sleep to study up for that exam or to catch up on your favorite sitcom consider the workday that your brain and body have put in. Give yourself the time to shut down and repair, there is nothing so important that it is worth the physical and psychological effects that result from sleep deprivation.